Is It Safe to Compost Coffee Filters in Your Garden? 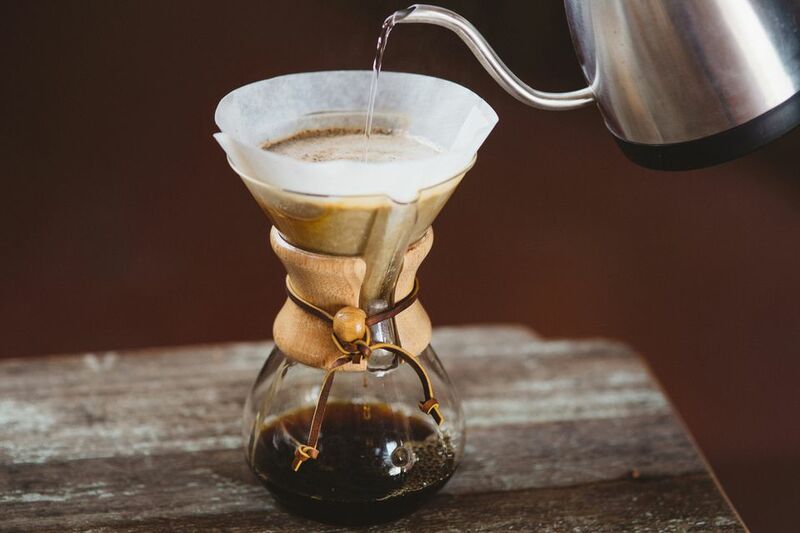 Is It Safe to Compost Coffee Filters? "...coffee filters and paper towels may have been treated with synthetic chemicals and bleach. Those attempting to maintain an organic garden will need to consider these possibilities before tossing items into the pile." Still other sources feel the bleach has pretty much dissipated by the time it makes it to your compost and won't pose a threat to either your soil or you. If you are concerned about the bleach, there are unbleached filters available. Of course, if you used a reusable filter, this conversation would be moot. On the plus side, coffee filters biodegrade very quickly, if they are covered and in a moist compost pile, and the worms seem to love them. If they are allowed to dry out, they take much longer to decompose. The filters would be considered a "brown", or dry, ingredient, which can be hard to come by in the lush peak of summer and essential for keeping your compost pile balanced. Coffee is generally considered a good ingredient for the compost pile. Although it is dark in color, it is considered a "green" element", because it is a rich source of nitrogen. However, there's been some concern that when composting coffee it will alter the pH of the pile. Coffee is acidic, but the acid is water soluble, so most of the acid is in the liquid we drink and little remains in the used grounds. By the time the grounds make it to your compost heap, they have a fairly neutral pH that is somewhere in the area of 6.5 - 6.8 and perfect for adding to your compost. One word of caution about using straight coffee grounds as a mulch in the garden; decomposing grounds can produce a very unpleasant odor. If you've ever kept them in a kitchen counter compost bin for several days, you will be familiar with the scent. They also tend to harden and cake, making it difficult for water to get through as well as making an unpleasant sight. It is a better idea to toss them in the compost pile where they will get mixed in with other ingredients than to try and use them straight. Just don't throw them in the garbage and waste them. How Safe are Coffee Grounds, in the Garden?